Easily one of the best PvP hand cannons for 1v1 situations, this is a killing machine that’s really fun to use. Match it with the Gunslinger’s Trance talent and you’ll be near unstoppable. We have a complete review for this weapon, and it made our Tier 1 PvP list! The recoil is low on this weapon once it’s upgraded, and because it’s got the passive Fan Fire perk, you’ll take down your enemies before they have a chance to react! Its unique upgrade will also increase the precision damage done on targets when firing from the hip. Because of the low range, its best used in close range to your opponent. While The Last Word is still an OK choice for PvE (not as good as the Hawkmoon or Thorn), this weapon completely dominates in PvP if used properly. If you enjoy the Crucible, and prefer hand cannons, it doesn’t get much better than this. However, if you are looking for a well-rounded weapon as your primary in PvE, then this isn’t the weapon for you. The Last Word is outclassed by many other hand canons in PvE, namely Hawkmoon and Fatebringer. It goes without saying that if you enjoy hand cannons, buy this weapon! Keep in mind that many people will have this weapon now, so don’t get discouraged in the Crucible! 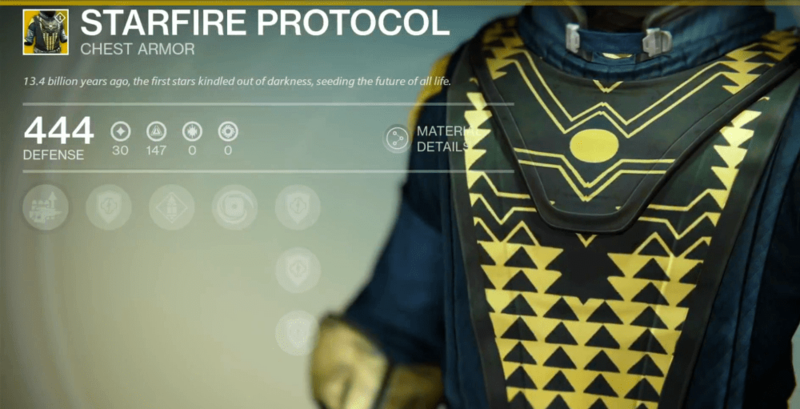 We talked a bit about massive Exotic ownership and how that affects Destiny in this article. Hip Fire – This weapon has bonus accuracy while firing from the hip. Last Word – Bonus damage and stability. Extra precision damage when firing from the hip. We recently reviewed this in our Titan Exotic Helmet analysis. An Insurmountable Skullfort’s unique ability is awesome for Striker Titans that love to punch things. Coupling this helm with Storm Fist’s Overload or Amplify can help out even more for a reliable and consistent stream of health regeneration. Improved Transfusion – Kills with Storm Fist immediately trigger health regeneration. You also respawn with full Melee energy. The helm’s main perks revolve around your grenades and melee which is awesome. An Insurmountable Skullfort has 104/112 Discipline and Impact Induction, which will replenish grenade energy just when you damage an enemy with a melee, so that obviously works well together; you’ll be able to use your grenades and melee a lot. What makes this helm a must-have, especially for PvP, is its ability to spawn you with full grenade energy every time. Infusion of course is just very situational, and is nice when it happens, but not something you can rely on. Fortunately the other two perks really mesh well together, and Infusion is just an added bonus. Ultimately this helmet will serve you well in both PvE and PvP and is worth picking up. Along with the grenade energy, your Arcbolt grenade will be improved by chaining further. There’s only 2 Hunter Chests in the game right now, and this one is arguably better – especially with a good fusion rifle like Plan C or Vex Mythoclast, as it’ll greatly increase the ammo. It’s somewhat niche, and is outclassed by some of the other Hunter Exotics, but for some, the perks could be invaluable. This version that’s being sold has 149/160 Intellect on it, which is going to greatly reduce the recharge time of your Super. If you are a collector or love the Arcbolt grenade, then it might be worth picking up. Starfire Protocol was also introduced with The Dark Below expansion, and this is the second time it’s been sold. 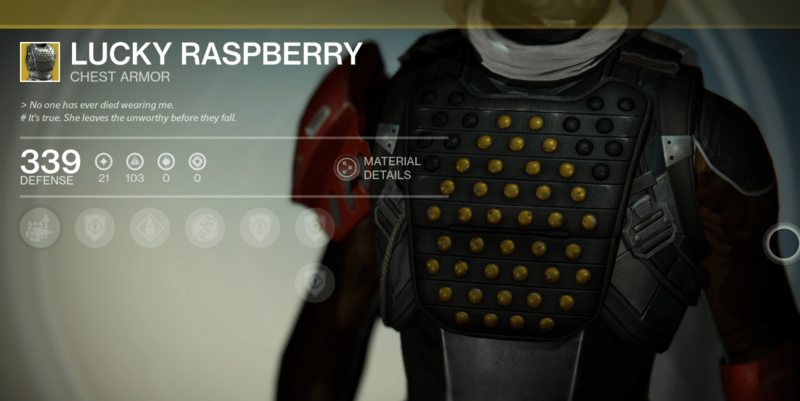 This chest piece has 144/155 Intellect – the same amount as last week. If you never use fusion rifles, and could care less about the Fusion grenade, then save your Coins.